Named the best place to live in North America in the Mercer 2014 Quality of Living survey, Vancouver enjoys a temperate climate, a bustling restaurant scene, and a great mix of multicultural inspirations. Visitors to the Metro Vancouver in British Columbia, Canada will find many exciting and relaxing things to see and do in the area. Located in Stanley Park in Downtown Vancouver, the Vancouver Aquarium is home to over 50,000 animals from all around the world. The Tropic Zone transports visitors to the middle of the Amazon rainforest with free-flying butterflies and birds, while the daily dolphin and beluga whale shows continue to astound guests. Admission during the summer season (June to September) is $34 for adults; $25 for seniors, youths (13-18)and students; $20 for children aged 4-12; and free for children 3 and under. Rates in off-season are typically $5 off. An entertaining and educational facility for kids of all ages, as well as adults who are young at heart, Science World at the Telus World of Science brings new featured exhibits every few months. These are in addition to the resident interactive exhibits where children can learn about electricity, physics, biology, space exploration and more. Admission during the summer season (June to September) is $25 for adults; $21 for youth (13-18), seniors and students; and $17.75 for children aged 3-12. Rates in the off-season are $2.50 less, while the upgrade to include an OMNIMAX movie is $6. Showcasing everything from cheetahs and capybaras to bison and grizzly bears, the Greater Vancouver Zoo is located in Aldergrove, approximately 45 minutes away from Downtown Vancouver. The Radical Raptors Birds of Prey show and the daily lion and tiger feeding are two of the more popular highlights. Daily admission rates range from $18 for children and seniors to $24 for adults. Children 2 and under are free and students are $22 with valid identification. Metropolis at Metrotown, the largest shopping mall in Metro Vancouver is located in the suburb of Burnaby, minutes from the border of the City of Vancouver. It is anchored by such major stores as Apple, Target, The Bay, Old Navy, Real Canadian Superstore, Sears and T&T Supermarket. 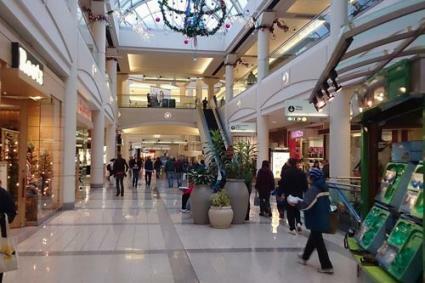 In addition to the shopping complex, Metrotown also contains a multi-screen movie theatre, a video arcade and office space. For more trendy and upscale shopping, visitors to Vancouver may be drawn to Robson Street in Downtown Vancouver, particularly the stretch between Granville and Denman Streets. Stores include Club Monaco, Zara, BCBG Max Azria, Banana Republic and Aritzia, as well as several popular restaurants and the Pacific Centre shopping mall. Shoppers more interested in artisan crafts, local seafood and fresh produce will find a lot to like at Granville Island, which is actually a peninsula under the Granville Street Bridge. The Public Market and Kids Market are big draws, but the small, independent niche shops are why locals and visitors alike to return to Granville Island again and again. 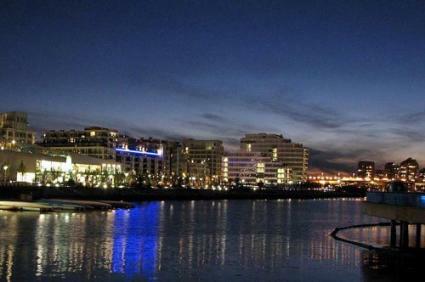 Surrounded by mountains and water, Vancouver is situated in a wonderfully green and lush environment. Visitors looking for a great hike through the woods do not have to travel far from the city, as Pacific Spirit Regional Park can be found on the University of British Columbia's endowment lands. Multiple trails take hikers deep into the dog-friendly old growth forest. While Capilano Suspension Bridge Park is the one that gets more attention from the tourism industry, the suspension bridge in Lynn Canyon Park is equally enjoyable and it is completely free to use and explore. Both suspension bridges are located in North Vancouver, a short drive from the City of Vancouver, walking guests into the natural beauty of the mountains and forest. Marketed as the Peak of Vancouver, Grouse Mountain is home to a number of outdoor activities throughout the year. Intrepid enthusiasts can hike the infamous Grouse Grind in the summer, thrill-seekers can get their screams through the zipline tours, and winter sports lovers can enjoy world class skiing and snowboarding. For a glimpse into both the past and the future of Vancouver, a visit to Chinatown is an absolute must. 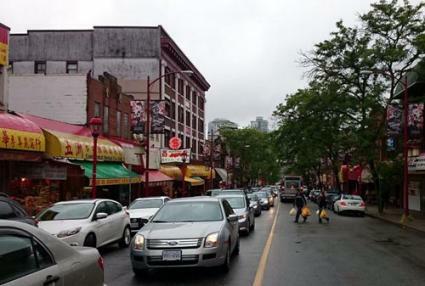 It is the third-largest Chinatown in North America, after those in New York and San Francisco. Visitors can expect to find a number of shops selling traditional Chinese herbs, housewares and keepsakes. It is also home to the Dr. Sun Yet-Sen Classical Chinese Garden. For a more modern take on Chinese Canadian culture, a visit to the "Golden Village" in the suburb of Richmond is also recommended. Only recently receiving official recognition, the Kingsway corridor extending from Main Street is now known as Little Saigon. Many Vietnamese restaurants, cafes, and shops can be found across several blocks in Vancouver, selling delectable banh mi sandwiches, fresh shrimp salad rolls and delicious bowls of pho noodles. Centered around Main Street and 49th Avenue, Punjabi Market is a commercial district with a major Indo-Canadian cultural area. Visitors can expect to find a variety of restaurants with a focus on East Indian cuisine, as well as stores to find beautiful traditional clothing. The annual Vaisakhi Parade can be found here, extending to neighboring Fraser Street and beyond. While not officially an ethnic enclave of Vancouver, Commercial Drive is historically an Italian neighborhood and this history continues to exert its influence on the community. Some of the best authentic pizza can be found on "the drive", as well as many trendy shops and eateries. These are just a few of the many wonderful options to enjoy in Vancouver. Those seeking culture and history may enjoy the Vancouver Art Gallery or historic Gastown. Botanical enthusiasts will find great beauty in Queen Elizabeth Park and Vandusen Gardens. From the Beaty Biodiversity Museum to Steveston Village, the Fringe Festival to the Vancouver International Jazz Festival, Vancouver has a lot to offer, whether you're there for a short time before or after a cruise or if Vancouver itself is your main travel destination.